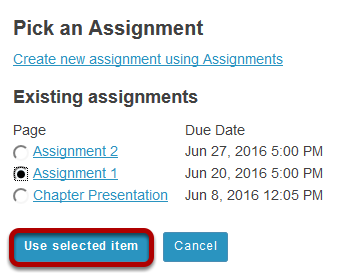 Instructor User Guide LessonsHow do I add assignments to a Lessons page? 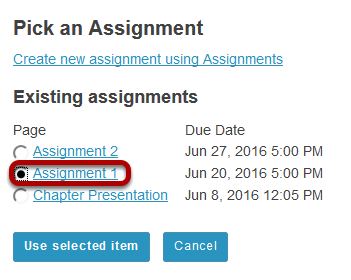 Click on the Lessons Page Title (e.g. 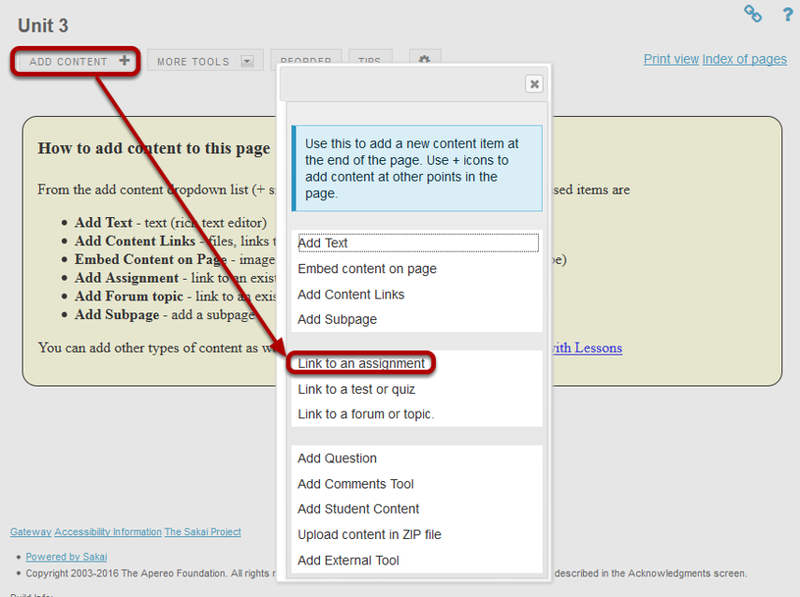 Unit 3) in the Tool Menu to display the page. 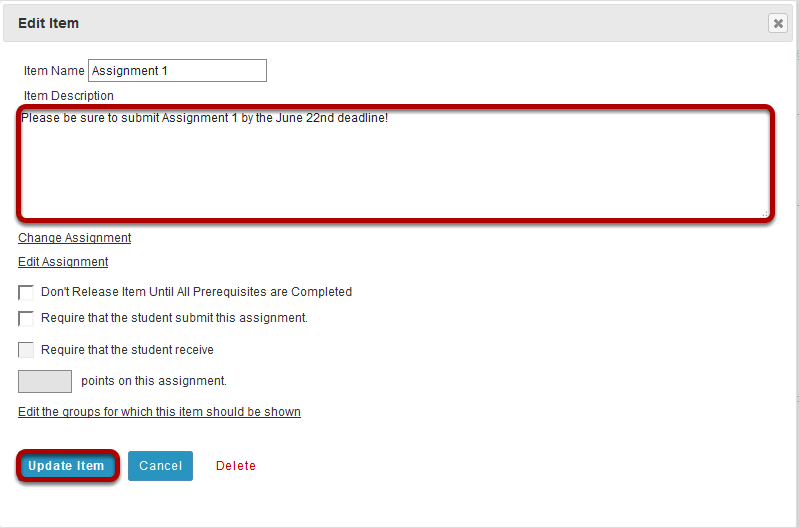 Next: How do I add forum topics to a Lessons page?